Subscribe to our blog to keep up to date on what is happening at Blue Mountain Vineyard and Cellars. In the Shuswap area of the North Okanagan is a productive organic goats cheese company called Happy Days. Happy Days Dairies mission is to produce premium quality, 100% Canadian, Goat and Organic cow dairy products with the utmost care and attention given to farmers, animals, customers and business partners. Each one of their dairy farmers is committed to treating their animals humanely with access to clean bedding, dry and warm shelter, open air barns, access to the outdoors, pastures, fresh clean air, high quality nutritious and natural food, clean and fresh water. They encourage their goats and cows to engage in their natural behavior by placing them in social groups where they can live in a herd to run and play. Happy Days Dairies vision is to be the leader in producing 100% Canadian Goat Dairy and Organic Cow Dairy products without compromise on quality, service and the humane treatment of their animals. Sauvignon Blanc - The crispness of this wine is a perfect accompaniment to the soft creamy Okanagan Goat Cheese - This soft unripened cheese is available in several flavours, including: Plain, Garlic and Parsley, Lemon Pepper, and Olive Oil and Rosemary. Try it in summer salads or on crackers with this elegant wine. NV Brut - The saltiness of this cheese lends itself to the effervescence of the Brut Sparkling. On a crostini or with salad, bubbles and feta are an interesting match. Goat Cheese Feta - available in crumbles or brine. Fresh and tangy. Pinot Gris - The rich butteriness of Pinot Gris will capture the nuttiness and depth of character in this Organic Gouda - mild flavoured with a semi firm texture & creamy taste with a hint of nut on the finish. Grate on salads, add to pastas or enjoy on its own with some crackers and jelly. Looking to purchase Blue Mountain wines in the States? We recommend paying a visit to Pike and Western wine shop in Seattle. 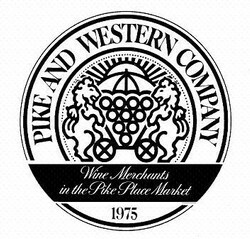 Pike and Western is an old fashioned wine shop. Since opening in 1975 they have seen a lot of changes in the wine world, the biggest being the number of wineries that have opened worldwide! Back in the day they had to be many things to many people but as wine has become more accessible they have taken another road, featuring the small, the artisanal, and the producers who produce wines of character. They are motivated by delicious wines, made in a manner that highlights their terroir, the people that grew the grapes and made the wine and the culture that surrounds them. They taste everything, are opinionated and can help you drink well within any budget. When they opened their doors, the Pike Place Market had just been saved by a vote of the Seattle people. It was then a local market. There were no tourists. Today that is not the case and summers can be crazy in the Market. But in its soul it is still a market for food loving locals. And that is why they are there. Their passion is to talk to you about the fascinating subject that is wine. It’s a subject that is complex, confusing and they don’t want to strip wine of that. They just want to help you understand a bit more, one bottle at a time. Monday-Friday: 10 a.m. to 6:30 p.m.
Saturday: 9:30 a.m. to 6:00 p.m.
No matter what your views are on Valentine's Day from worth celebrating to way too commercial, one simple thing that you can do is enjoy some sparkling wine and celebrate with your special someone. Brut Rosé R.D. 2010: "The colour is an enticing delicate rose-petal pink, like a faint blush on a pretty face. It’s serious bubbly from one of Canada’s best sparkling wine producers, aged for 36 months in contact with the bottled yeast prior to having the sediment disgorged. Bone dry in that electric Blue Mountain style, it shows bright lemon, green apple, berry and toasty baguette flavours over a satisfyingly chalky texture." We suggest starting the evening off with some bubbly. Looking for a super easy appetizer to enjoy? 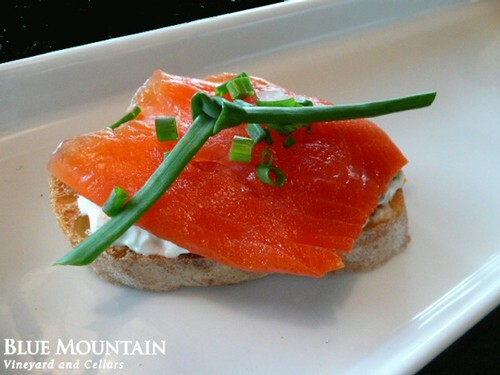 Try this recipe for Smoked Salmon and Caper Cream Cheese Toasts and pair it with our 2010 Brut Rosé Sparkling wine. 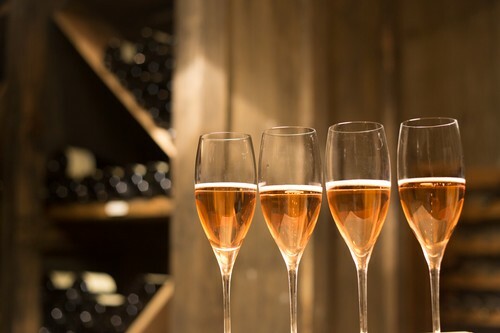 If you plan to treat your loved one with a special Valentine's Dinner, consider any of the locations in the Okanagan or Lower Mainland where Blue Mountain Sparkling wine can be enjoyed. Reviews for our other Sparkling wines can be found on our website. @2001bottles @MaverickWinery @BlueMtnWinery 2014 vintage wow! Way to go and happy Easter to you and your guests too. Share or like Blue Mountain at the following social media sites for all of the latest updates.